We Can Restore Your Matteson Home! After your Matteson Home experiences a disaster, you need to contact our crew. We have the training, state-of-the-art equipment, and expertise to handle any size disaster. We're IICRC certified and ready 24/7. 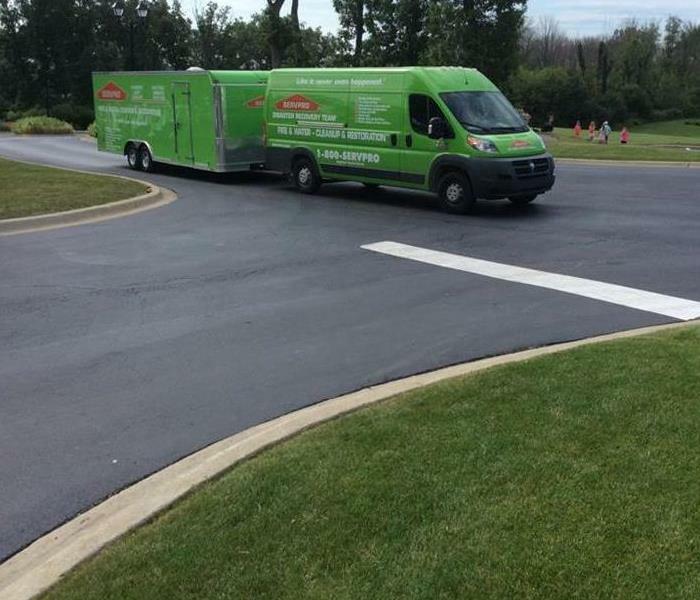 SERVPRO of Matteson-Homewood is Faster to Any Size Disaster! When Everyone Else Runs, WE GO! When hurricane waters rise... we get our trucks and crews ready to go. We go into devastated areas to begin the process of helping residents rebuild. We at SERVPRO of Matteson/ Homewood are part of the storm team, meaning that our crews are ready to travel cross country to help where needed. 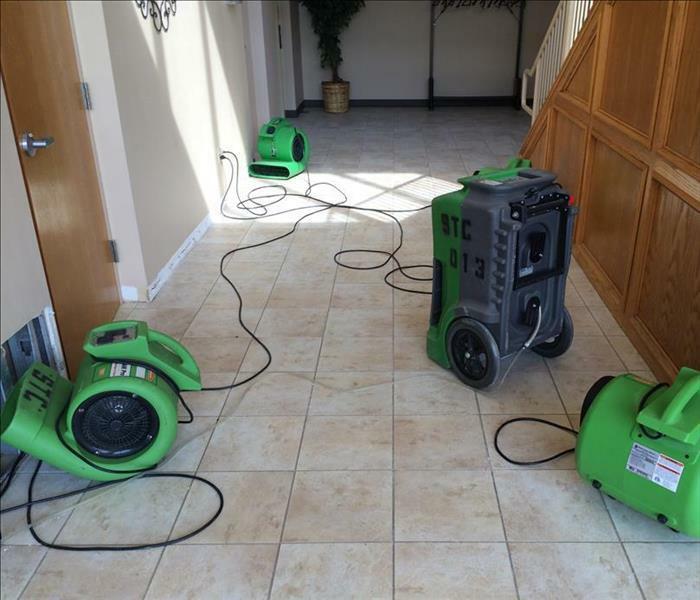 Calling SERVPRO of Matteson/ Homewood after a water damage quickly is very important. The longer that documents sit more damage will be caused. 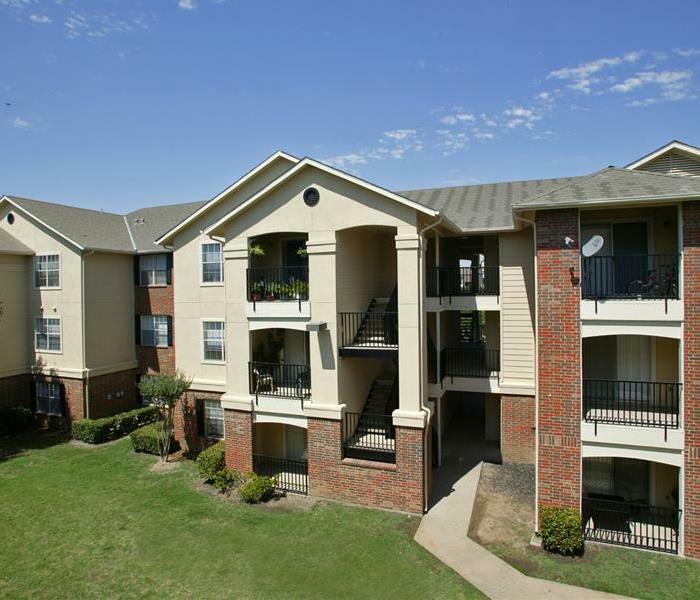 When you call us, we will move quickly to begin the salvage and restoration process. Complete restoration of your restorable property. The SERVPRO of Matteson-Homewood just successfully hosted another round of full CE Classes for our Insurance Agents, covering the topics of Ethics and Commercial Insurance. 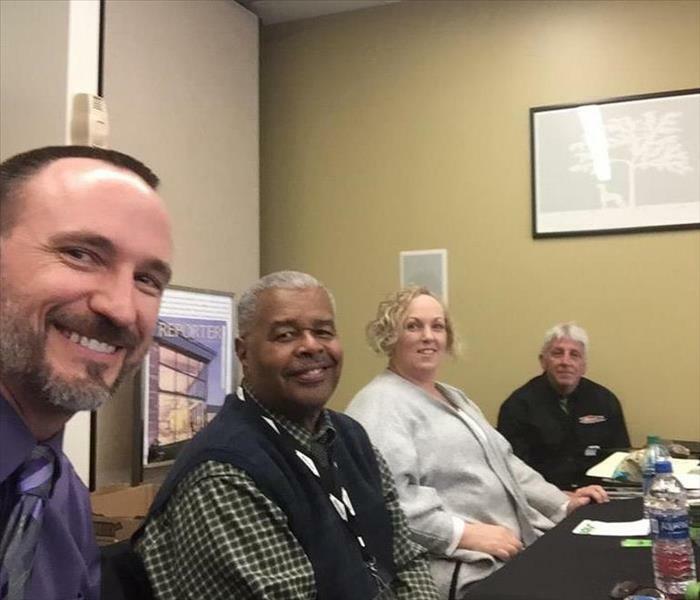 The Marketing Team of Greg Stewart, Tim Williams, Diane Logerquist, Bill Wilczynski, and Valerie Graniczny, along with Instructor Todd Davis, hosted and provided a fun day of interaction and exchanging of ideas for Insurance Agents. For our 2019 CE Class schedule please contact our office at: 708-747-9952 or ask your SERVPRO Representative. Riverdale Fire Department ICE CREAM DAY! 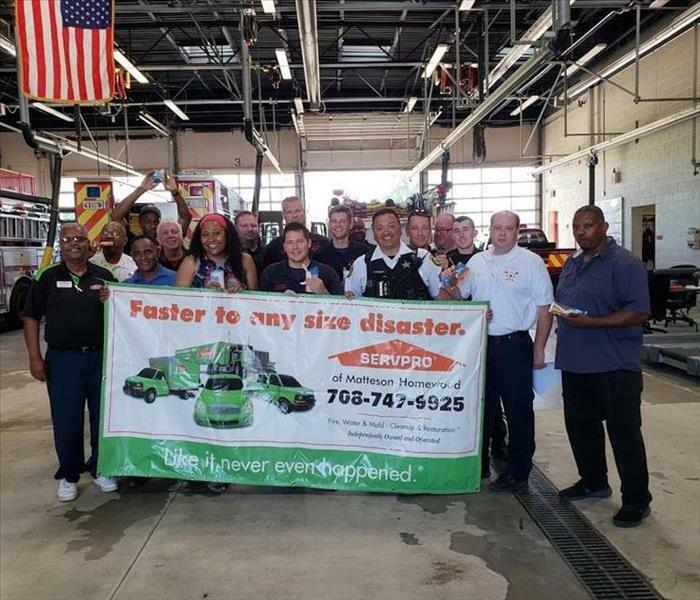 The SERVPRO Marketing team was out supporting the First Responders in your neighborhood. 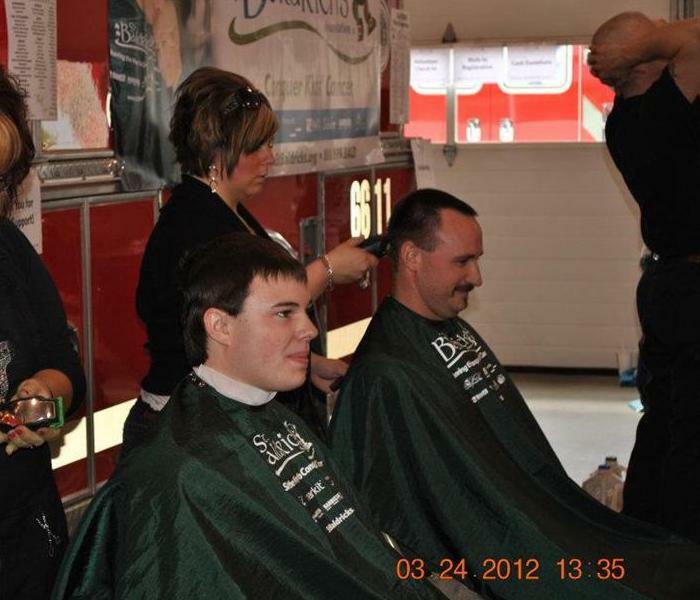 Pictured are Tim Williams and Bill Wilczynski with the Riverdale Fire Department. First Responders were treated with some COOL ice cream treats on a muggy and sticky 100 degree day! From Blue Island to Dyer, from Calumet City to Matteson, from South Holland to New Lenox We've got you covered! Call us today to find out about all of our service areas! Just hosted another round of wildly successful CE classes for our Matteson-Homewood & Chicago Heights-Crete-Beecher Franchises. 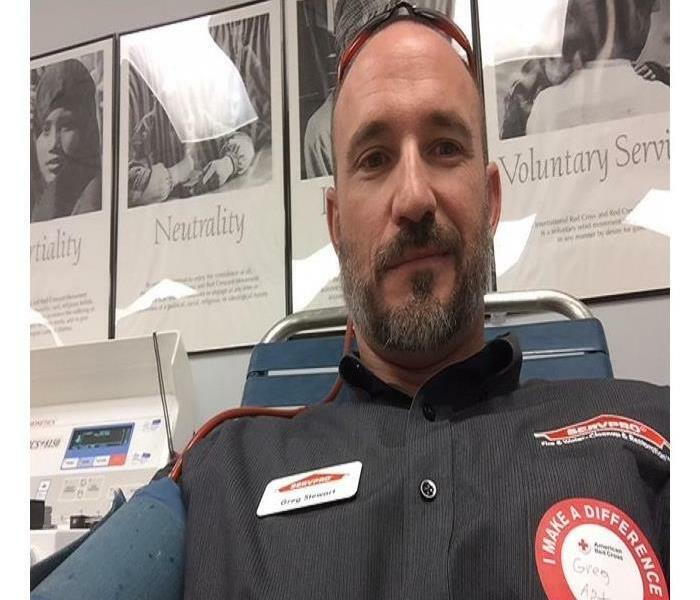 Agents were instructed and certified by Todd Davis, in not only Ethics but Navigating Claims. 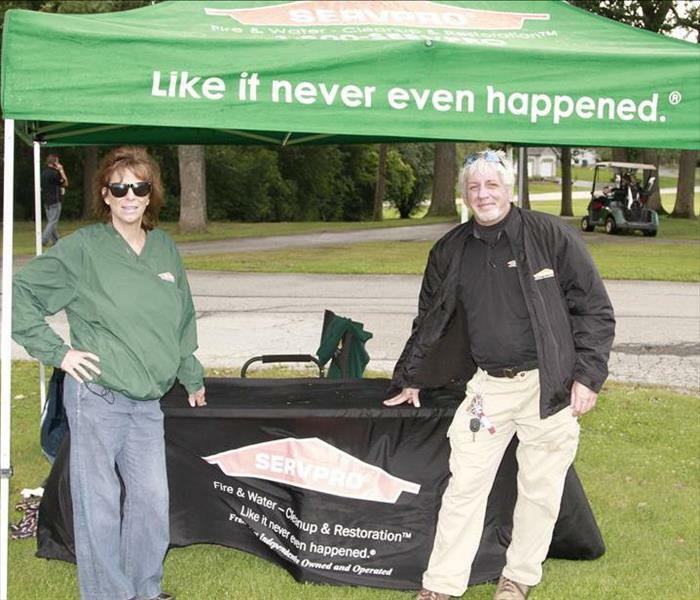 SERVPRO Team members pictured are: Greg Stewart, Bill Wilczynski, Tim Williams, & Diane Logerquist. 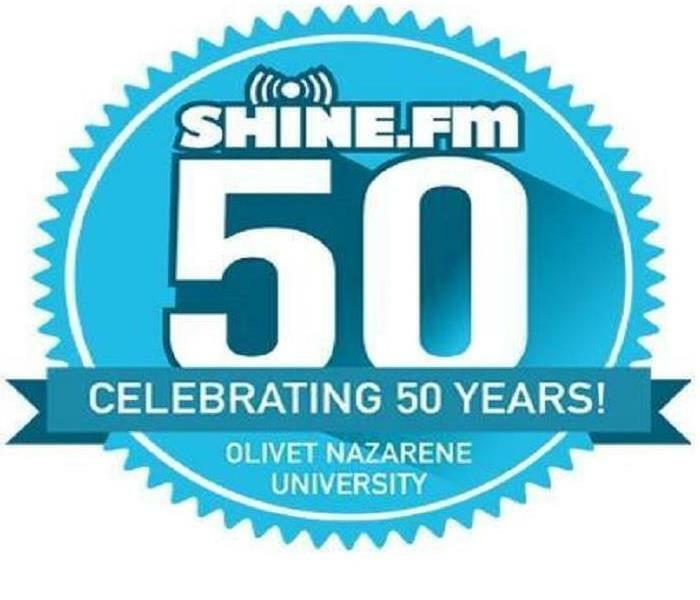 SERVPRO of Matteson-Homewood is a proud sponsor of the Shine FM and Olivet Nazarene University. Recently, we've attended along with other businesses in town the Chicago bears training camp. 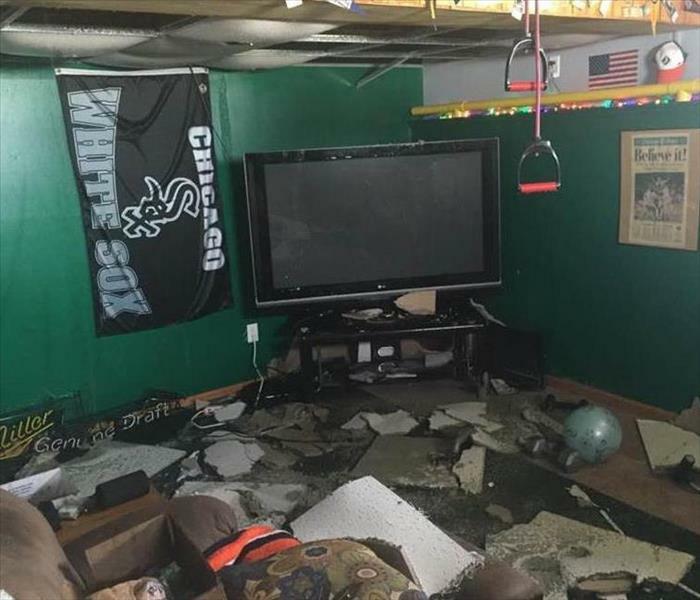 Don't let water damage ruin your summer in your man cave. Call SERVPRO of Matteson - Homewood and we'll have you root, root, rooting for your home team before you know it. 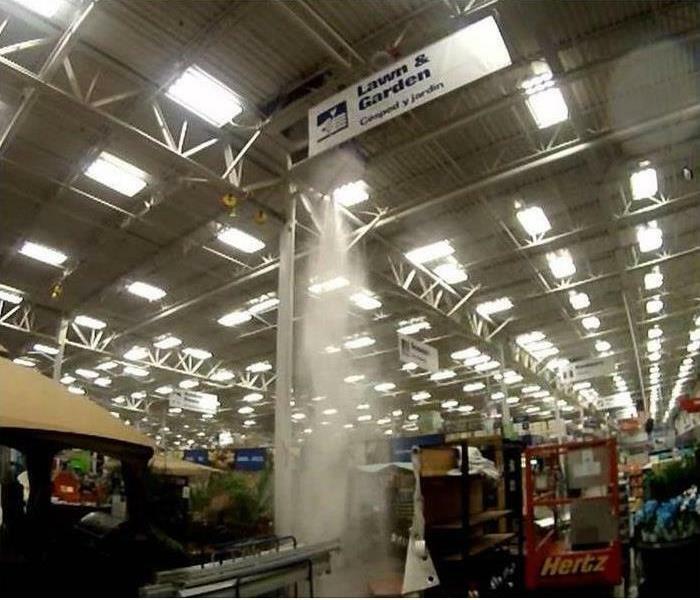 Cleaning up after a broken fire sprinkler head can be a mess way over your head. 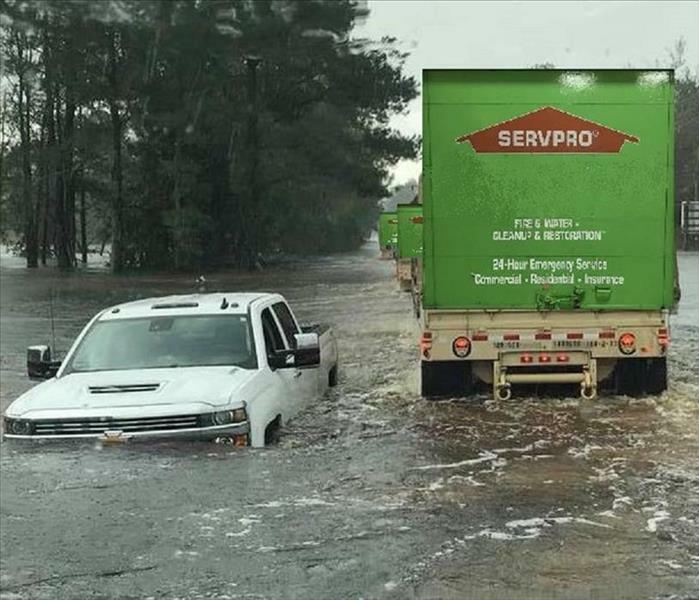 Call the professionals at your local SERVPRO for emergency response. We'll be there to quickly get the job done. 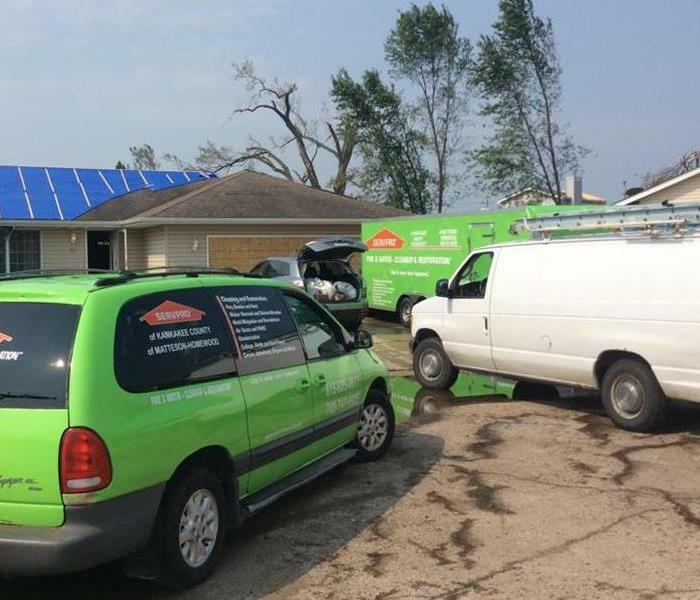 As a leader in storm and water damage restoration, SERVPRO of Matteson-Homewood has the specialized training and expertise to restore your home back to its pre-storm condition. Our restoration process puts an emphasis on scientific drying techniques, progress monitoring and documentation. 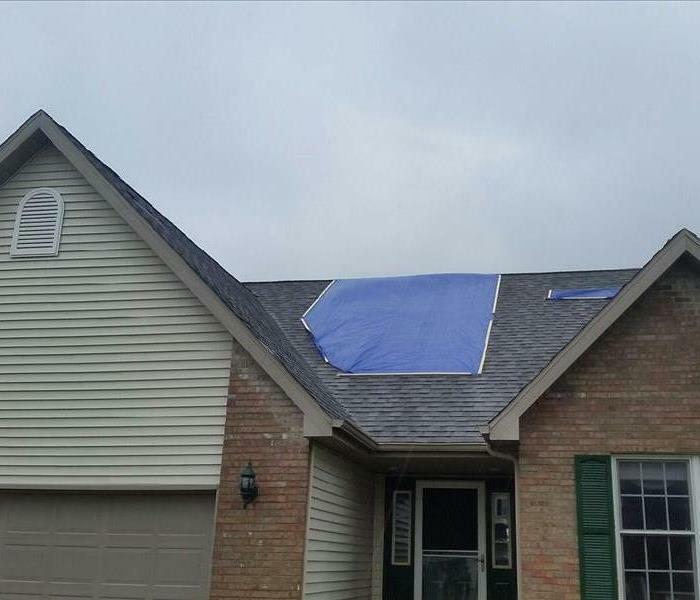 When a storm hits your Matteson home or business, you need help immediately. Our quick response will help prevent secondary damage and help reduce restoration costs. 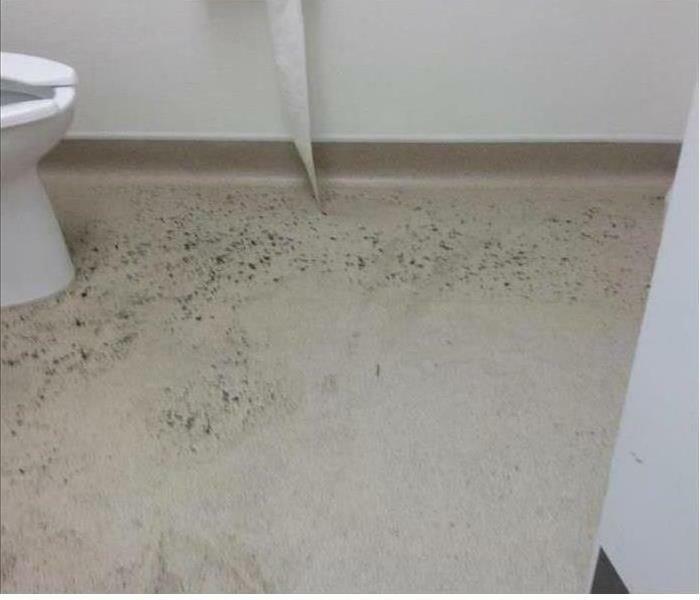 This bathroom in Richton Park overflowed, causing some mold to form. 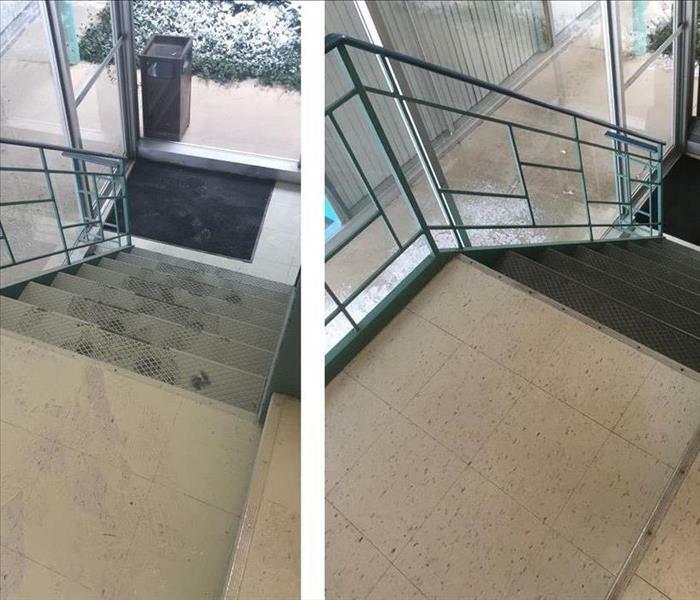 SERVPRO of Matteson - Homewood was able to come in quickly and clean up the mess, leaving it "Like it never even happened." When fire hit this home SERVPRO was called in and we went to work quickly. There was extensive damage throughout the home and by the time we were done, it was "Like it never even happened." 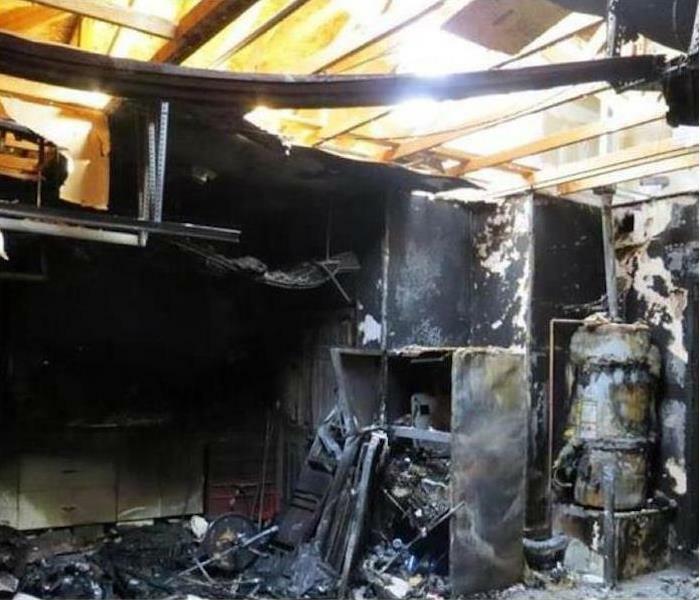 When your Matteson home or business suffers fire damage, it can be especially devastating. In addition to the fire and smoke damage, your property may have substantial water damage from firefighting efforts. You may feel stressed and confused after such a disaster, and you’ll need a caring expert to guide you through this crisis. 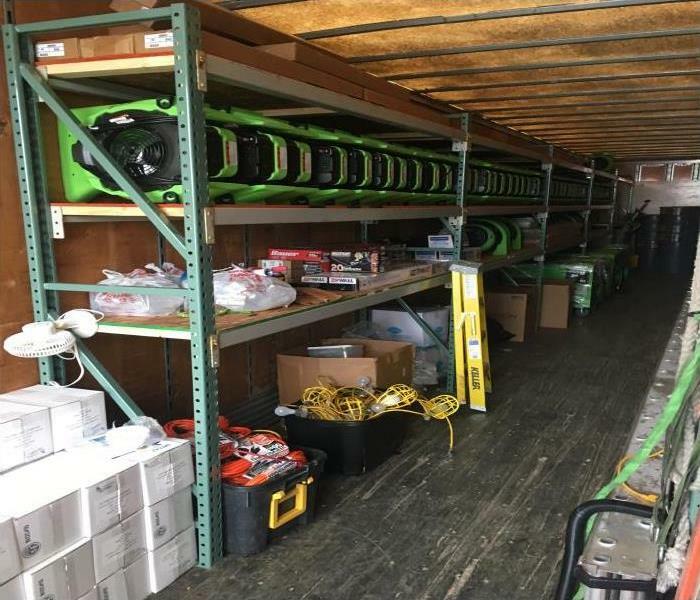 SERVPRO of Matteson-Homewood has the specialized fire and water damage equipment and expertise to help you through this tough time. 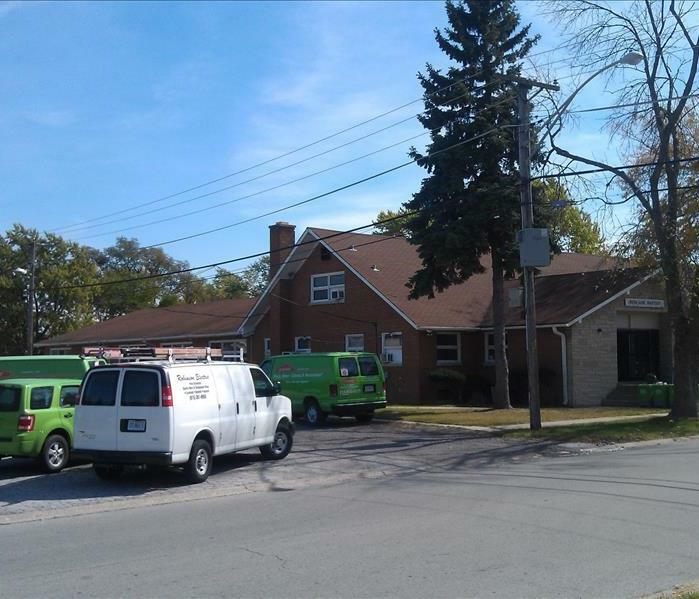 Commercial water damage occurred at this office building in Olympia Fields when a fire suppressant system accidently triggered. 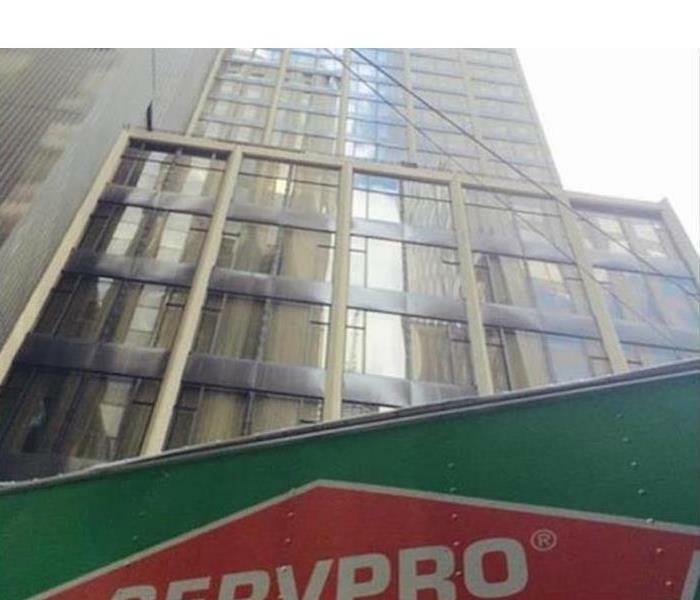 SERVPRO was called to clean up the water and arrange for repair of the fire-suppressant sprinkler system. WE brought in water removal equipment and staff for extraction. 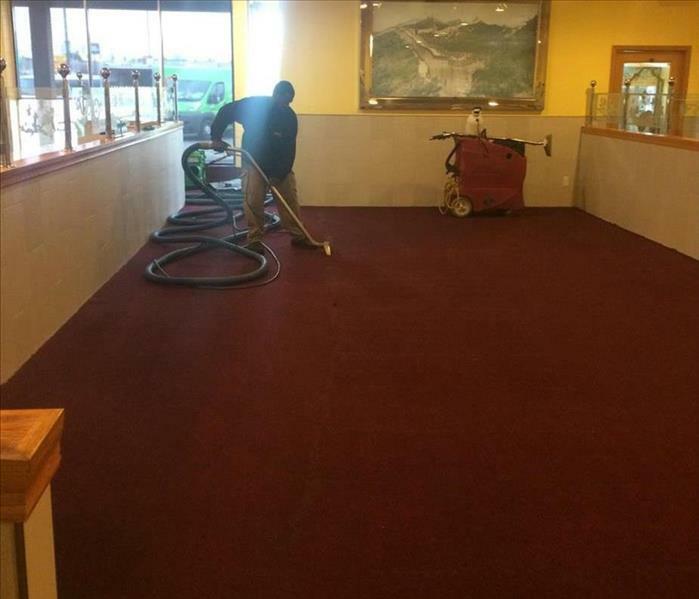 After the water was removed, we set up commercial air movers and dehumidification equipment to promote more rapid drying of the premises. 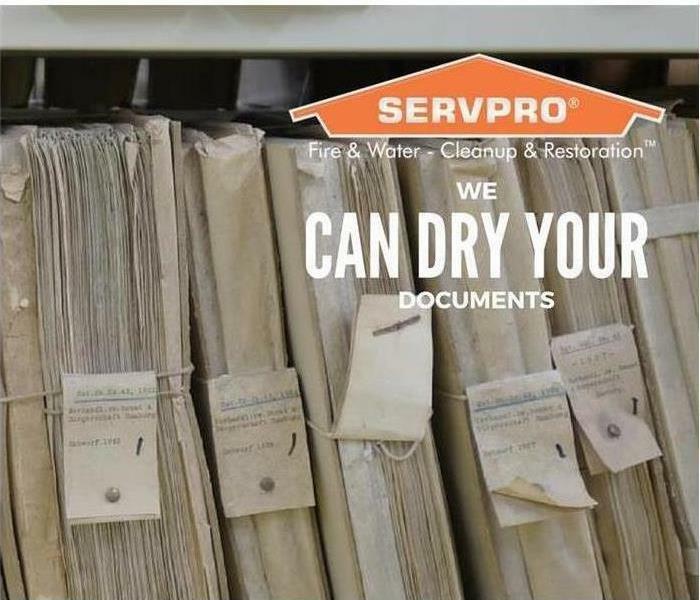 If water damage impacts your home or commercial facility, call SERVPRO of Matteson - Homewood 24/7 at (708) 747-9925. We proudly offer 24-hour emergency service. 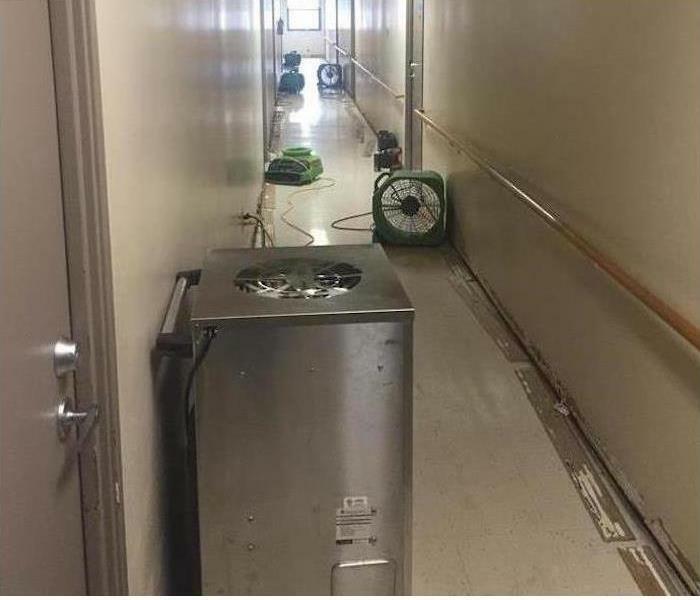 A local school had an issue with water damage. Get the water out, dry it out and get things back to good for the kids and staff. 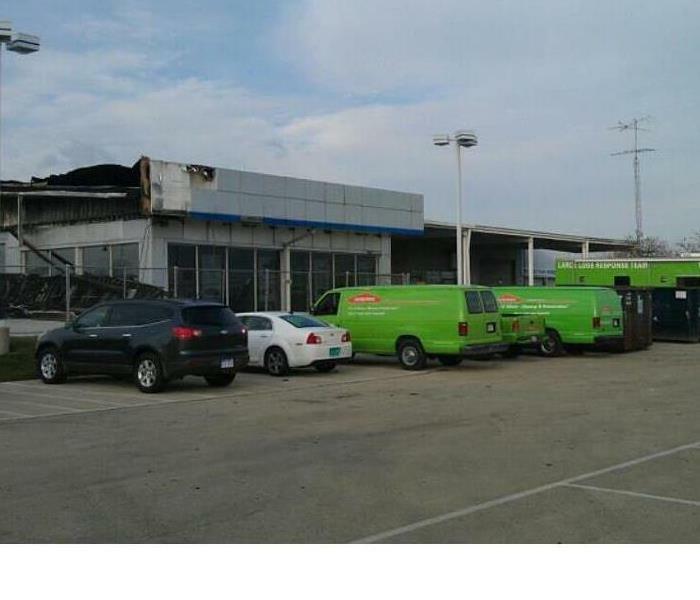 A Storm hit a nearby town and SERVPRO of Matteson Homewood was ready to jump in and help there was massive damage around the entire area and we were glad to come in and be a part of putting things back together. This local business had an issue in which 10 thousand square feet was covered in up to 2 inches of water. SERVPRO came in and quickly extractrd the water and dried out the property. This local building had a lot of water damage. SERVPRO of Matteson-Homewood came in dried out all we could and replaced much of the drywall along the floor. 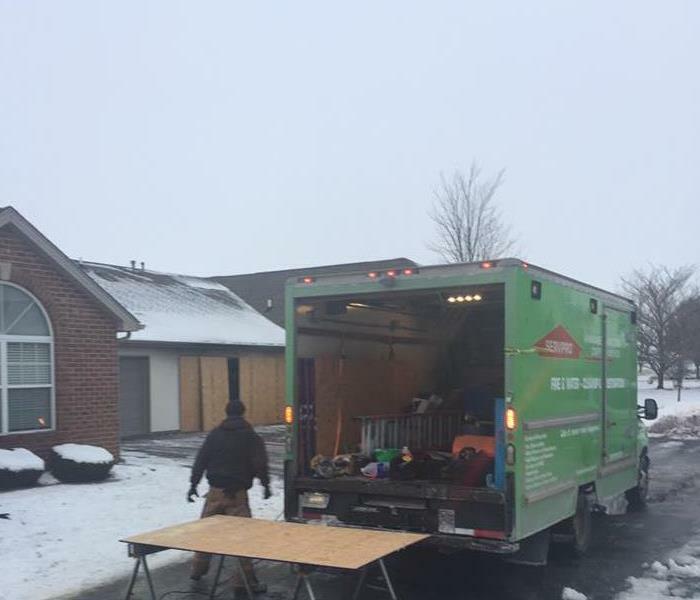 Recently SERVPRO of Matteson Homewood was called in after a fire in a home. Extensive damage was done to this bedroom but before we left it looked like a brand new bedroom. "Like it never even happened." 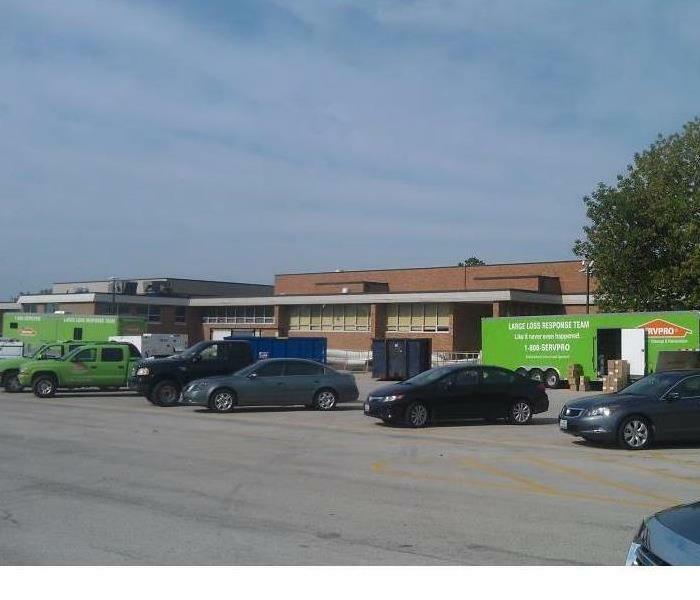 Lansing Illinois neighbors and business owners trust SERVPRO of Chicago Heights Crete Beecher to respond to all of their fire water and mold damage needs. Often fire damage can affect wood framing of the home. SERVPRO technicians are trained to clean, deodorize and encapsulate wood framing. If that process is too costly, we also have experienced framers on staff to replace damaged wood framing. SERVPRO of Chicago Heights Crete Beecher is also certified to media blast framing as well. Media blasting can be effective for fire and mold remediation processes alike. Sometimes having the right tools means the difference between cleaning and replacement. 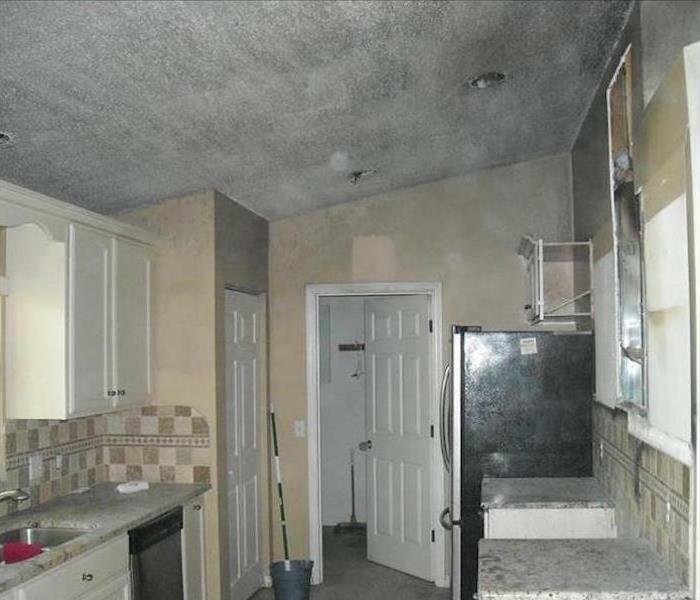 Fire damage in this Homewood kitchen led to the soot and smoke damage displayed in the picture above. 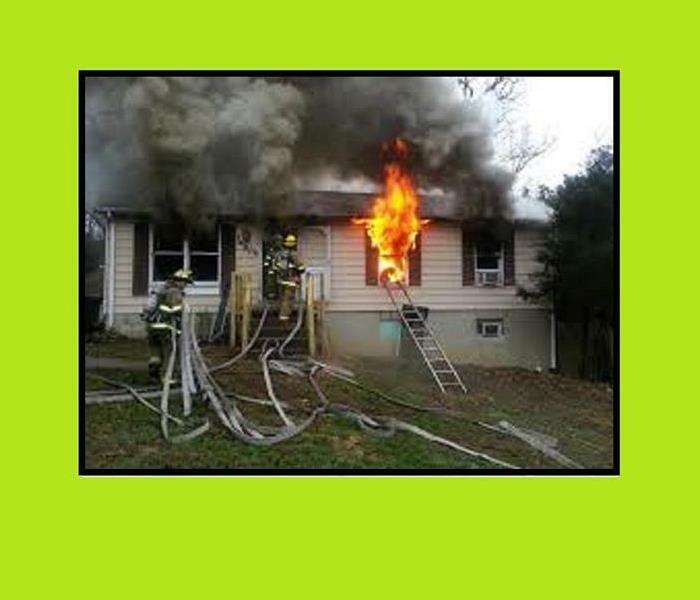 This is a common occurrence with kitchen fires. SERVPRO has proven products and procedures to clean up any degree of soot and smoke damage. This project had a happy ending for our customer. 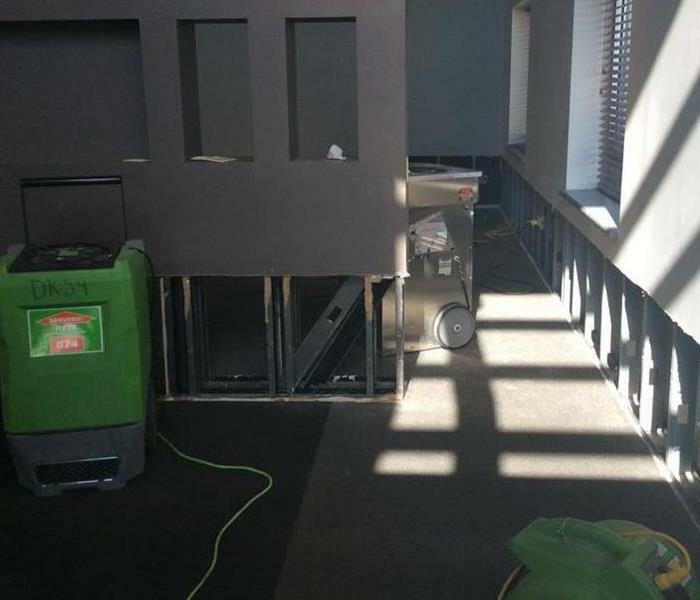 Commercial water damage at this Homewood hotel was extensive requiring substantial water damage mitigation equipment. SERVPRO has completely equipped semi-trailer loads of remediation equipment ready to respond to large loss events such as this. Fire damage left this Matteson garage in ruins. SERVPRO of Matteson / Homewood was contracted to provide fire damage remediation. The prominent part of this job was removing debris and disposing of it properly. Once cleared, we provided rebuilding services to this detached garage. 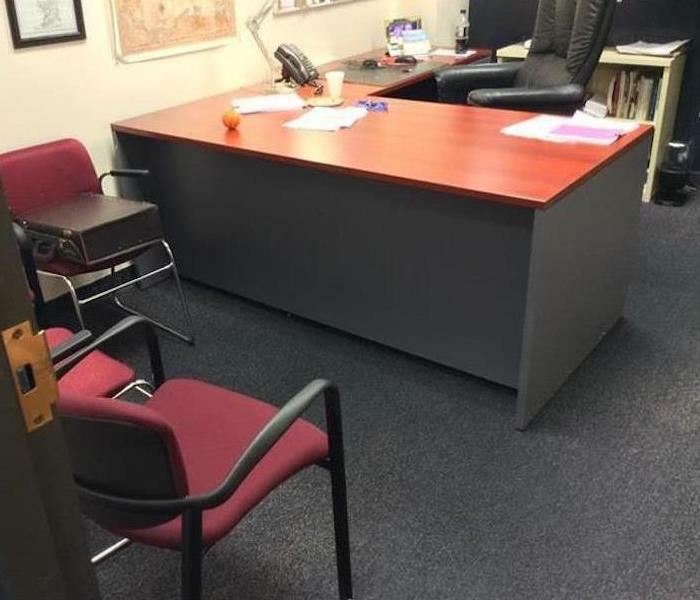 Commercial water damage occurred when a plumbing leak developed in the wall between this office and an adjoining restroom. SERVPRO was asked to fix the plumbing leak and mitigate the water damage. We needed to remove a portion of the drywall to fix the plumbing and dry the interior of the walls. Also, we used water removal equipment to extract water from the carpeting. 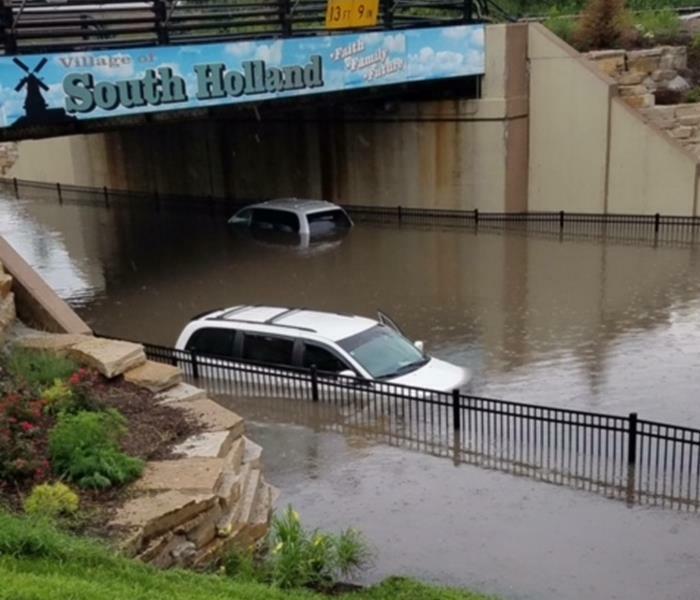 This storm dumped tons of water in South Holland. 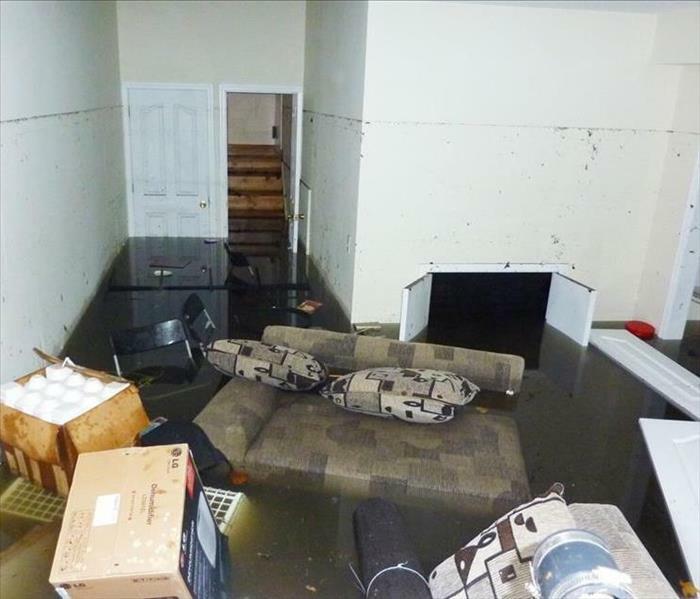 The sofa and chair were non-salvageable because of the contaminated groundwater that flooded this lower level. SERVPRO techs managed to isolate the water damage to this area by rapidly pumping out the standing water. We limited secondary damage to the walls and stairs and saved the homeowner money. We are there when emergencies occur. We have a new Rock Star in the House, or in this case Olivet Nazarene University. 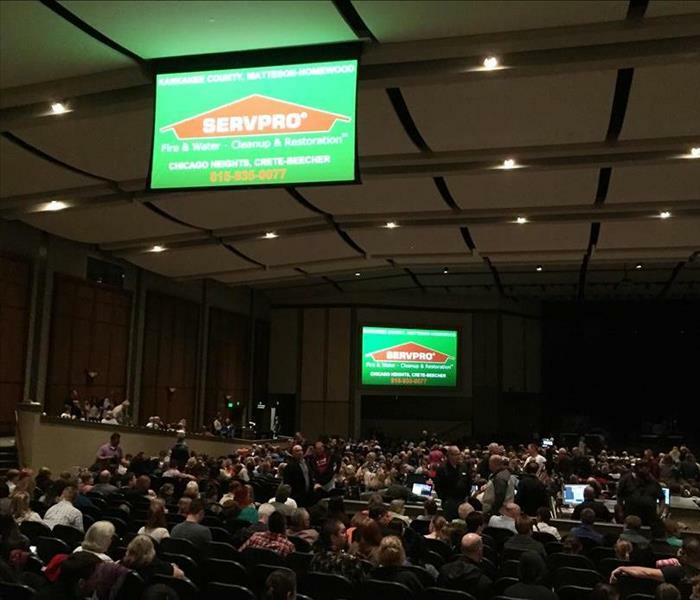 SERVPRO of Matteson-Homewood proudly sponsored the Casting Crowns Concert in conjunction with WONU 89.7 SHINE-FM and Luke Franklin on April 22, 2016. This contemporary Christian Rock Band brought down the house, though our banners remained flying over the auditorium. Just call the phone number on the banners to assure yourself fast service that you can trust for any mold, fire, flood, or water damage that may interrupt your home or business environment. This stretch of land in Manteno's Diversatch area is on the way to becoming an impressive facility for SERVPRO of Matteson-Homewood. The owners, Bobby and Kata Nichols, plan to have this modern facility shared with two other SERVPRO Franchises. A centralized location will offer faster emergency services for their homeowner and business customers. With an impressive warehouse/office setting, eventually covering over 50,000 square feet, and with an expert crew and staff rapidly approaching 50 in number, every completed service will make it appear "Like it never even happened." 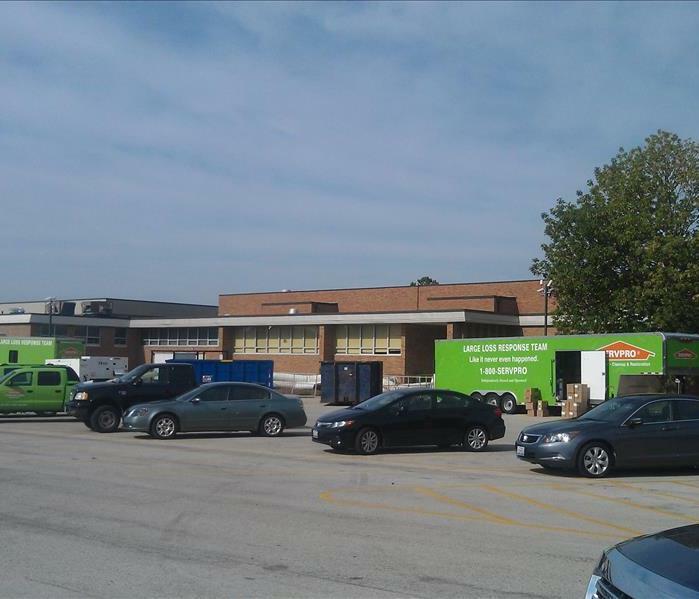 When Schools discover water damage or mold issues, they call on the professionals at SERVPRO of Matteson-Homewood. SERVPRO also provides MOLD testing so you can call us in to make sure things are safe. 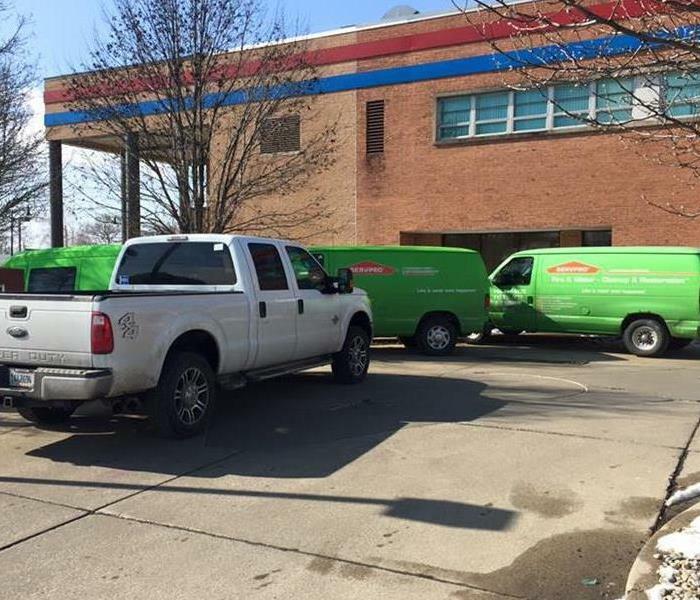 When churches and houses of worship discover water damage or mold issues, they call on the professionals at SERVPRO of Matteson-Homewood. SERVPRO also provides MOLD testing. This is a water damage in Chicago Heights IL. 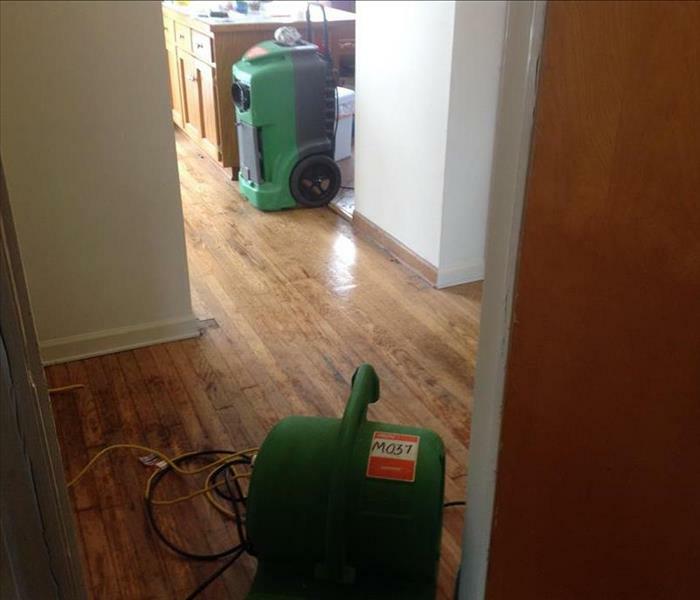 In Homewood, IL, SERVPRO of Matteson-Homewood was able to save the wood flooring that had water damage from a frozen pipe that had burst. In Olympia Fields, IL, Some Cabinets were destroyed but SERVPRO of Matteson-Homewood was able to save the tile flooring. Mold requires a food source and moisture to grow. It is important to remove or dry out water damaged materials before mold has a chance to start growing. If you even think you have mold, call SERVPRO of Matteson-Homewood today. Danielle Kozlowski & Bill Wilczynski participated in the 2015 Richton Park Safety Days. Educating and informing local residents about Fire, Water, Smoke, and Mold restoration. 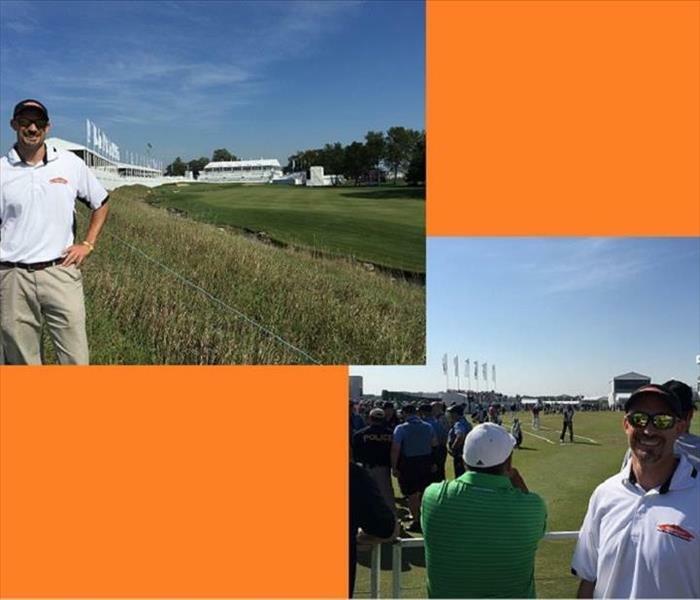 Greg Stewart of SERVPRO of Kankakee County, Chicago-Heights-Crete-Beecher, & Matteson-Homewood was able to attend the 2015 BMW Championship as a SERVPRO representative. SERVPRO is a sponsor of the PGA. Jason Day won the event shooting a 22 Under Par. 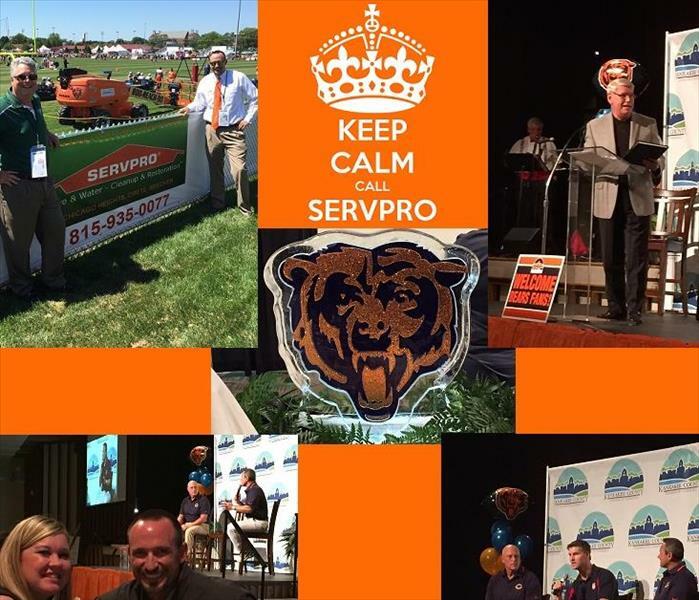 SERVPRO supports Chicago Bears & Olivet Nazarene University. Greg Stewart & Erinne Ferris went out to support the Chicago Bears Training Camp Opener that was hosted by Olivet Nazarene University. Speakers at the event included ONU's President Bowling, Bears GM Ryan Pace, as well as radio personalities Jeff Joniak & Tom Thayer. SERVPRO provides restoration services for Fire, Smoke, Soot, Water, Sewer, Mold, & Bio-cleaning. As well as Carpet cleaning, Duct cleaning, Tile cleaning and more. 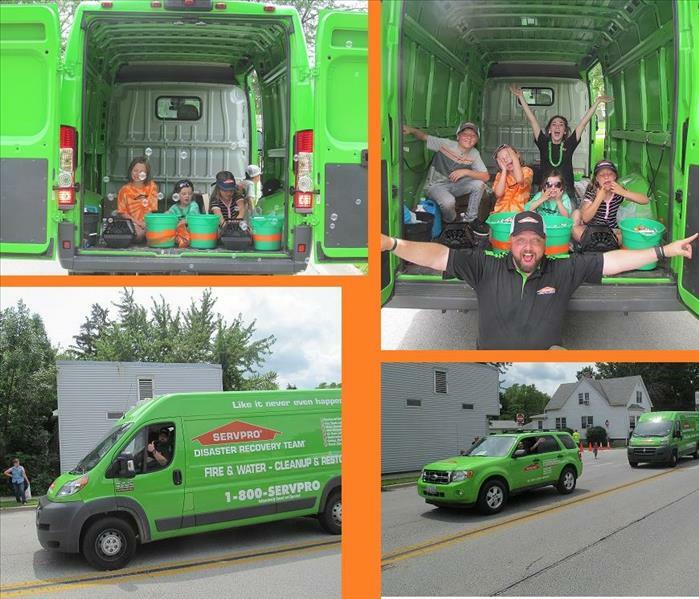 SERVPRO of Matteson-Homewood, Chicago Heights-Crete-Beecher, & Kankakee County participated in the Annual Steger Days Parade in Steger Illinois this summer. Jason Smith, Mary Deman, Greg Stewart (Not Pictured), Daniel Kozlowski (Not Pictured), and the future marketing staff helped spread candy and bubbles across town on a beautiful day for such an event. Bill Wilczynski & Joanne Mutter of SERVPRO were out to show support of the MABAS 24 Fire Departments. Memeber Departments are: Burnham, Calumet City, Country Club Hills, Dolton, East Hazel Crest, Flossmoor, Glenwood, Harvey, Hazel Crest, Homewood, Lansing, Lynwood, Markham, Munster, Oak Forest, Phoenix, Riverdale, South Holland, Thornton, & Tinley Park. 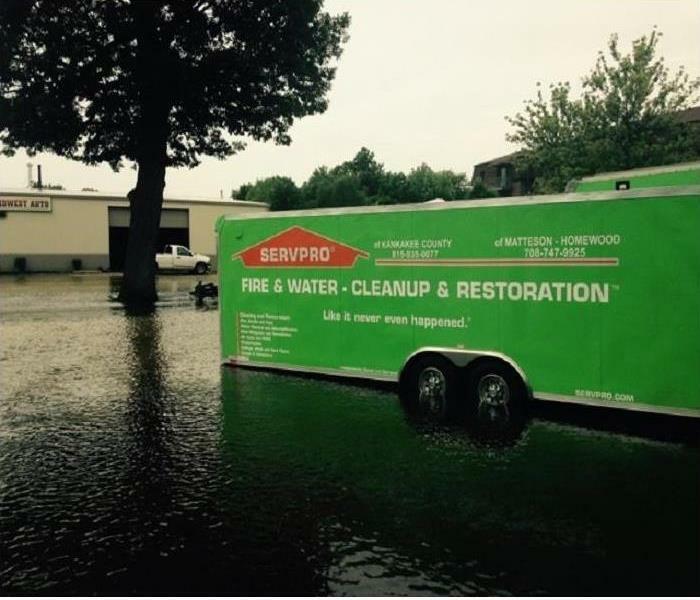 SERVPRO provides restoration services for Fire, Smoke, Soot, Board Up, Water, Sewer, Mold, & Bio Cleaning. 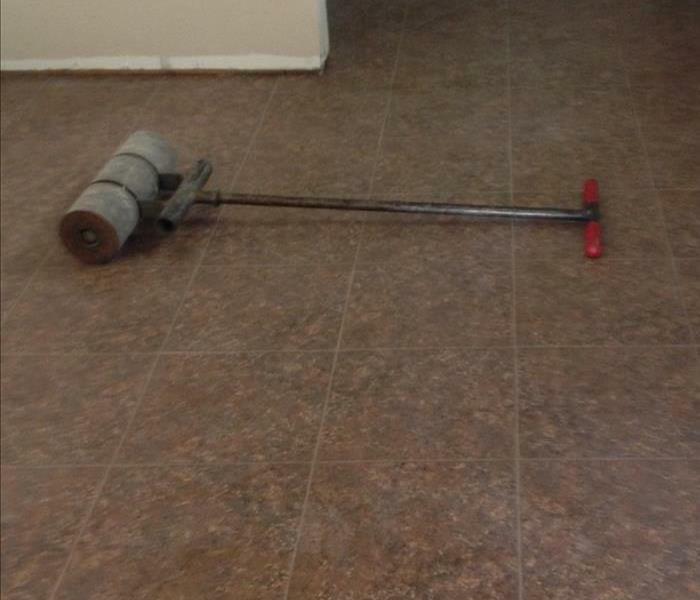 We also provide Carpet Cleaning, Duct Cleaning, & Tile Cleaning services. 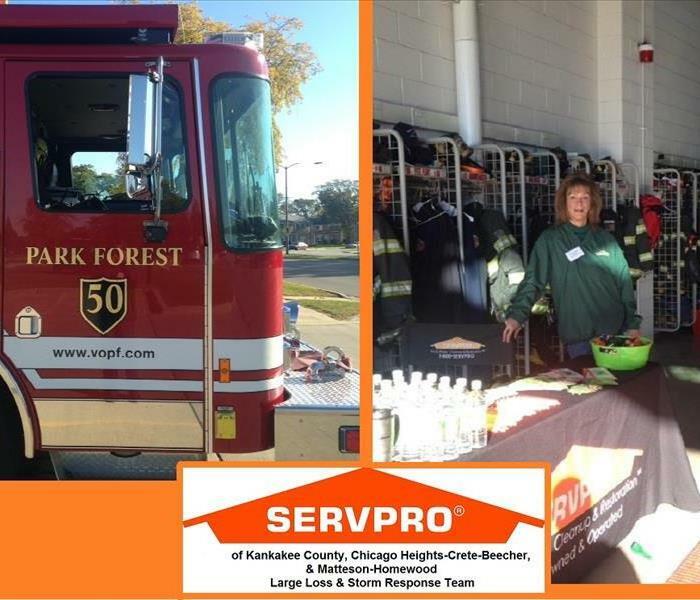 Joanne Mutter of SERVPRO was out supporting the Park Forest Fire Department Open House, answering questions, handing out goodies, and participating in the days activities. Todd Davis - Instructor, Greg Stewart - SMM, Jennifer Seely - SMR, Diane Logerquist - SMR, Mary Deman - Technician, & Bill Wilczynski - SMR (Representatives of SERVPRO of Kankakee, Chicago Heights - Crete- Beecher, & Matteson - Homewood) take a moment to pose for a photo at our Spring CE classes. Area Insurance Agents attended both an Ethics and Homeowner & Auto Policy Exclusion class. We are a proud dealer of Mohawk Carpet, Shaw Flooring and Tarkett Flooring. Call our office for at home samples and measuring services. Professional Flooring installation is important in order for warranties to be honored. SERVPRO provides estimates to your home or commercial property. Be prepared! Lightning damage can be devastating to your residential or commercial property. 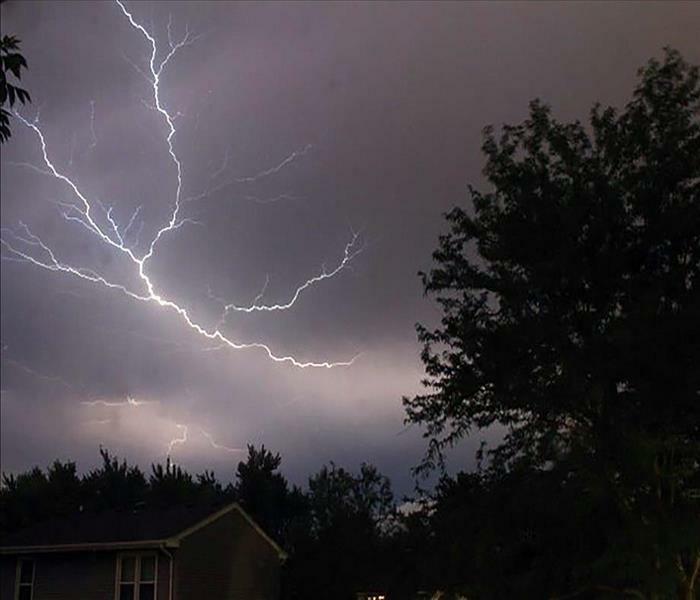 Visit http://www.lightningsafety.noaa.gov/tips.shtml for more details about safety tips during storms.